Cheaper versions of Google's latest Pixel phones with the same great cameras are coming, people! If we go by the Federal Communications Commission reveal that it has tested and approved no less than eight Google "smartphone” models running Android 9.0 Pie. 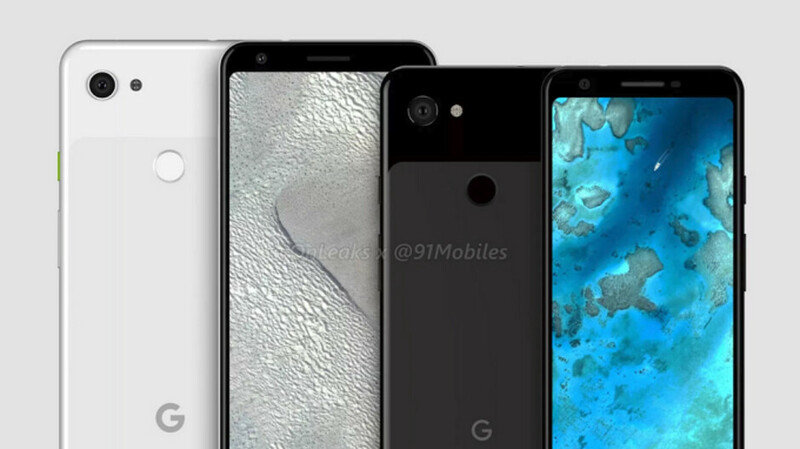 Out of those numbers, G020B and G020F have previously been associated with the upcoming Google Pixel 3 and 3 XL "Lite" version, while the other four could be the different carrier or wireless connectivity variations. Google’s budget Pixel 3 offering should land with a 5.5-inch display, 4GB of RAM and a midrange Snapdragon 670 processor, instead of the high-end 845 one we have now, while the XL version should sport a notch-less 6" panel, Snapdragon 710 processor and 6GB of RAM. Besides the processor downgrade, an additional way to reach more bearable costs for these two would be using a plastic body. We don't really care, as long as the excellent camera stays the same, and the price is right. Rumor has it that Google would tag those in the $400-$500 range which is certainly way better than the Pixel 3 or 3 XL, and yet some might scoff at outlaying five Benjamins for a 710 processor. Such FCC filings typically mean we are a couple of weeks away from announcement, so it should all be revealed next month. As you can see, the upcoming Google midrangers support US carrier LTE bands, so we are all ears when and for how much they will land here. Plastic is fine. If Google puts wireless charging in this device, metal would be a no-go anyway. Plus, a plastic back would be easier to repair/replace than a metal back. I'll reserve my judgement until the device is released. I want to like this phone, so as long as the performance is pretty good, and the camera performance is nearly the same as the Pixel 3, this should be a quality phone. I know I could get a 2nd gen Pixel for the same price, but I'll have an extra year of software support. Hey Google! What about better screen to body ratio in 2019? Now the question is this, should I by a new, but older Pixel 2xl or do I buy a Pixel Lite. I wonder how the Snapdragon 710 compares to the SD 845. The 845 is much faster, so is the 835. The 2XL is a higher performing device, but you’ll get an extra year of support and updates with the 3XL Lite. So it all depends on what’s most important to you. Plastic body = no breaking back glass. I approve.